Having a garage door that is broken can really be frustrating for a home owner. The last thing you need is having your car stuck in the garage when you most need it. 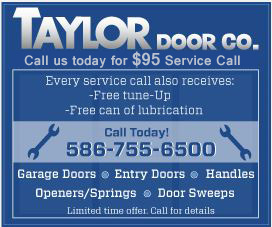 At Taylor Door Co. we are dedicated to providing you with the highest-quality garage door repair Southfield, MI. Our goal is to get it done right the first time, and follow the industry’s best practices when it comes to garage door repair. When looking for garage door repair Southfield, MI know that there is no comparison to the service and quality that you will receive from Taylor Door Co. We have been serving our customers for over 30 years as members of the International Door Association. At Taylor Door, we are committed to ensuring that you will NEVER pay over $300 for a simple garage door repair again. Thinking about replacing your broken garage door? 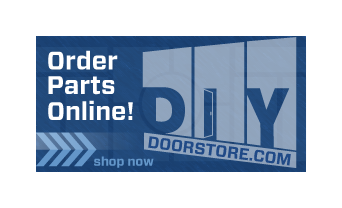 Check out our great selection of residential garage doors and garage door openers. At Taylor Door Co., we understand how important fixing that broken garage door can be, so we make it out mission to be prompt and reliable for you. Call before 11 a.m. and get your garage door repair Southfield, MI the same day! Our repairs are fast and efficient and we have the top quality products at affordable prices. Make sure you request your free quote today and call 1-800-NEW-DOOR to get that garage door up and running again.